The Government has ordered an urgent review of plans for the Metro Sports facility amid concern the project will come in $75 million over budget. The previous Government had planned for the Metro Sports facility to be built under a design and build contract and had identified a preferred contractor. However, official advice to the new Minister for Greater Christchurch Regeneration Dr Megan Woods shows that if the project goes ahead on the final pricing submission provided, it will exceed its budget by $75 million. The budget blow-out is due to an increased price by the preferred contractor and a significant risk escalation component. “As an incoming Minister, I have been conducting a thorough review of the progress on the anchor projects and to learn of a $75 million budget blowout on this project was very disappointing," Dr Woods said. “That is an undue burden on taxpayers and ratepayers for a project that is already significantly delayed – in fact the facility was due to be opened by now, yet construction has not even begun. “We want action and momentum," Dr Woods said. “That’s why I’m announcing today that the early contractor involvement will be cancelled and I have instructed officials to undertake urgent work to get this project back on track. 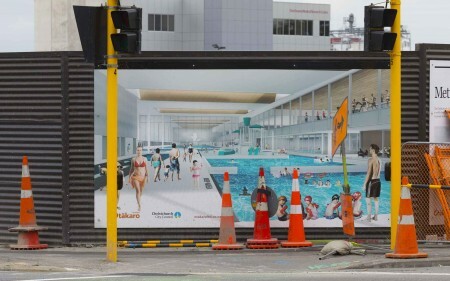 “I have asked for two pieces of work – the first is for Ōtākaro to complete the detailed design work itself and get ready to go out for a new build-only contract. This will be completed by March 2018. “I have also asked officials at DPMC to use this time to partner with the Christchurch City Council on an urgent review of options for the project such as whether it would be beneficial to combine part or all of the Metro Sports facility with the proposed Multi-Use Arena for which a pre-feasibility assessment has been recently completed. “This will allow us to test whether the assumptions made in 2012 about this project still hold up and we are still getting a facility that meets the city’s needs and is fit for purpose," Dr Woods said. “We will act urgently, as we are aware we are inheriting a project that is already well behind schedule. Having this work complete by the time a build-only plan is ready means no time is lost by considering other options now. “At that point I will make a decision about which option to proceed with and a construction timetable can be established. This review will give us a clear plan to deliver this project as quickly as possible, with a timeline we can have confidence in, in a manner we can afford,’’ Dr Woods said. Mayor Lianne Dalziel says the steps taken by the Minister today provides the city with a window of opportunity to re-examine its major sports facilities. “The next few months required for the build contract to go to tender has given the city a moment in time where everything can be examined without holding anything up,” the Mayor said. “The city can now look at what we really need and this will include getting together with the sporting codes to double check that what was driving decisions five years ago is still relevant today. What was the case then, may not be now. This window of opportunity will enable us to think about the different elements of the Metro Sports Facility and the Multi Use Arena, as well as some of our existing facilities. “This is an opportunity for the next generation of young sports people to have world class facilities for training and competition and therefore I welcome having a fresh dialogue with the codes,” the Mayor said. "We could end up accelerating work on the project and reducing overall costs, while providing the city with the sporting and events infrastructure it needs – now and for future generations." The Christchurch Central Recovery Plan provided for the Metro Sports facility to be built on the block of land bordered by St Asaph Street, Antigua Street and Moorhouse Avenue. The facility was to be the largest aquatic and indoor recreation and leisure venue of its kind in New Zealand, with a 50 metre, 10-lane competition swimming pool and a separate diving pool, large aquatic leisure area, five hydroslides, fitness spaces and nine indoor courts for sports such as netball and basketball. The Council’s contribution to the Metro Sports Facility is capped at $143 million under the Cost Sharing Agreement.